Gift giving always brings positive excitement on both sides: the person receiving the gift is happy over the given present, while the person giving the gift is happy when their choice of present is accepted with joy and enthusiasm. It's not always easy picking the right gift; sometimes we don't know the person well enough, sometimes we run out of time for a home-made surprise or we don't want to give anything material, since what really counts in life are good stories and noble intentions. 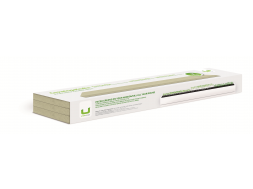 What if, next time, you decided to go green? It’s wonderful to see something sprout, bloom, grow and bear fruits in front of our eyes. Why shouldn’t ideas for gardening gifts be … gardening itself? 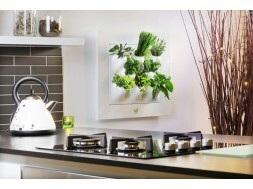 Growing herbs in pots will delight the young and the old by bringing fragrant and delicious greens on our kitchen shelf, which will serve as a decoration and for cooking. 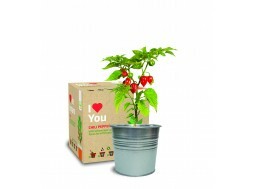 The grow kit “I Love You” is an original gift for all chili lovers: a plastic and decorative pot, soil, green flocks and seeds, water, sunlight and a bit of love. Whoever receives this gift will soon be able to admire the little red fruits and wonder how spicy they are. 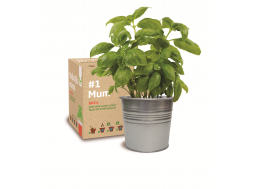 The herbs in pots we keep in our kitchen are more than appropriate for our child’s first contact with gardening. 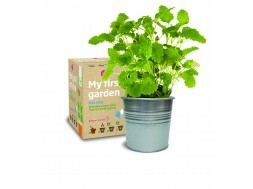 “My First Garden” kit will spark an interest for growing plants and show them they need to respect the work put into gardening, even at such a small scale. Just imagine the joy you get when you prepare your own substrate and seeds and see the little plants grow through the soil and enjoy the sunlight on the window shelf. Discovering the secrets of nature will become a precious memory, while they will also produce a delicious beverage with their patience and responsibility. A sunflower is a symbol of vitality, life, spirituality and emotions. A sunflower turns its smiling flower towards the sun, constantly catching the sun rays. It is also a symbol of hope and devotion, so it is undoubtedly a nice present for all the special people in your life. Why not bring some positivity of a new, growing life into someone’s home and life? 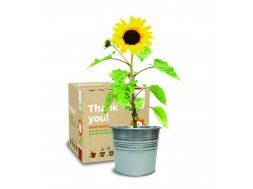 Urbanscape’s grow kit “Thank you” includes everything necessary for growing a large yellow flower of happiness from a tiny seed of hope! 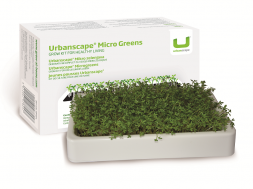 Micro greens from our windowsill are in many ways something special: they grow without soil or dirt and they belong to the group of the 10 most healing vegetables! No, that’s not an April fools’ prank but a great idea for an original gift. Kale, a low-calorie vegetable with high levels of chlorophyll, iron, calcium and numerous vitamins, is a great addition to salads, soups and side dishes. Its seeds grow on a mineral fiber pad, which has to be kept moist. Instead of kale, we can also plant seeds of cress, arugula or radish on the mineral fiber pad from molten ingenious rocks. All lovers of minimalism will be delighted with Maxi vitamins, micro vegetables – a handy little garden, no bigger than a slightly larger pocket. 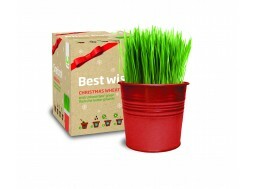 A great gift for anyone who grunts about not having enough space for growing plants! 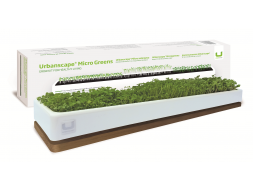 Are you buying a present for someone with a lot of space, who is more interested in growing herbs on a balcony than growing micro greens? A wooden raised garden will unquestionably delight the most fervent gardeners who never run out of ideas about planting flowers and vegetables but who quickly run out of pot and boxes for their gardening art. A herb garden on the balcony will bring joy to the entire family; as well as the bees if only you make sure to provide them with enough honey plants. Bees are an important member of the life cycle of pollination and growth, so we must help with their preservation!